Get that barista style coffee with your home milk frother! Your coffee is more than just a drink – it’s the full coffee shop experience in your own home! Frothy milk is an essential part of several different styles of coffee. You eat it with a spoon, right? Right? Only animals gulp down frothy milk beverages, so getting your own milk frother goes a long way to prove you are in fact a superior species. It also means you can make tasty lattes and cappuccinos. Double bonus! What are you looking for in your milk frothers? The new Vava EE013 milk frother’s 4 settings, symmetrical build and handless but really cool ergonomic design makes it the Rolls Royce of Milk frothers in terms of aesthetics and function. And just as the vehicle does more for its users, this frother delivers in terms of more flavor variety and taste. Here’s how. If you didn’t know all the different ways your froth could taste, prepare to be amazed. Vava EE013 is fitted with a dial that allows you choose from 4 unique settings – hot dense foam, hot milk, hot airy foam and cold froth. It also comes with a strix temperature controller, which automatically shuts off your machine when its temperature gets anywhere between 65 and 70 degrees Celsius. 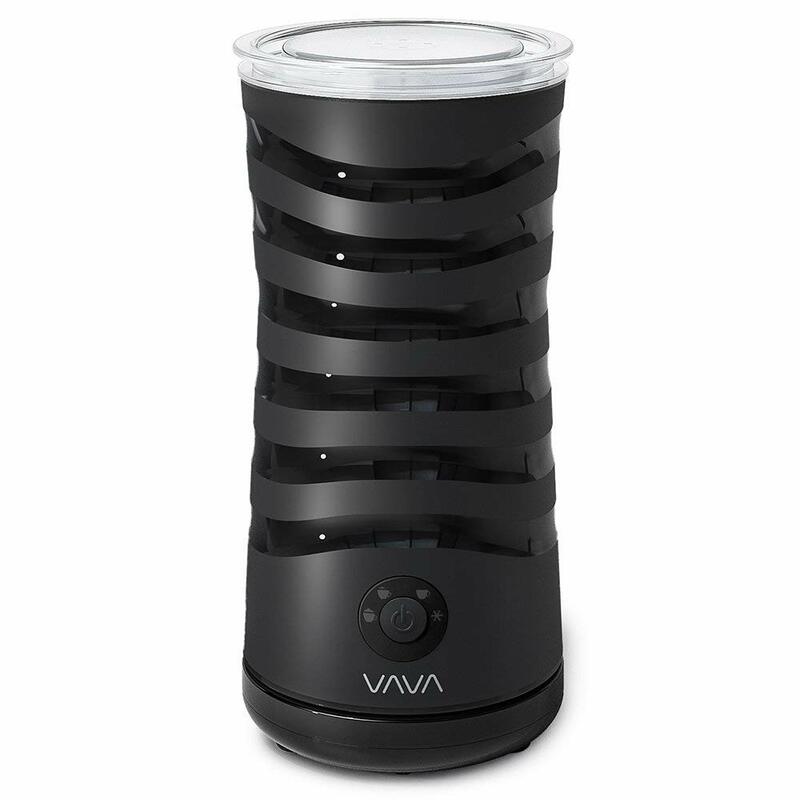 This new model switched out the practical lip (which directs the flow of fluids when pouring out of the frother) in Vava’s previous models for a sleeker, more modern look. The lack of a lip may take some getting use to, especially if you’re somewhat clumsy, but the extra whisk and froth setting should be worth the switch. Moving on to care, the EE013 has a double wall non-stick coating which makes cleaning easy. The non-stick coating means you won’t have to worry about “burnt milk” settling at the bottom of your frother. Milk heats and froths at 115 ml (enough for two cups), only heats with a bit of froth when the milk is poured up to 240 ml and, depending on your setting, takes 220 seconds max to finish brewing. Vava EE013 stands out not just because of its incredibly innovative design, but also because it gives its users an extra froth setting – which most milk frothers don’t have – to experiment with. So if you’re tired of paying premium prices to fuel your coffee habit, shop now and join the millions of people saving extra and discovering new ways of taking their coffee. With its multi-purpose hot/cold frothy milk button, to make brewing easy, and a magnetic induction which allows you brew your cappucino without waking all your neighbours, Lavazzo’s MilkUp milk frother is the best way to avoid paying premium prices for a cup of frothy goodness at a cafe. This particular MilkUp is cleverly designed with a detachable jug to make cleaning painless. You can either submerge the jug in water, or put it in a dish washer without worrying about water getting into unwanted crevices. Its frothing discs are also removable, in case you want to give them a thorough cleaning. The hot and cold multifunction button also allows you brew hot chocolate while the milk’s frothing, so you won’t need to make any extra mess when making the cocoa portion of your hot chocolate. 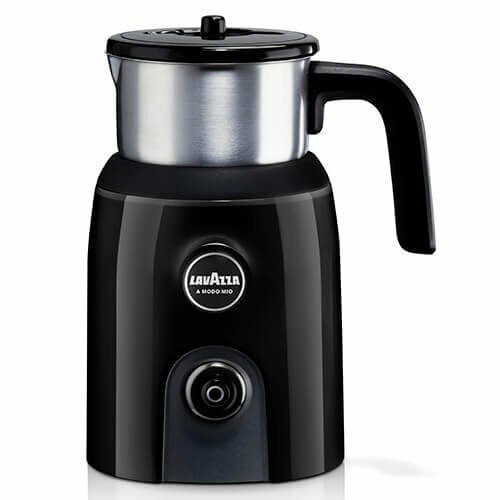 Even though this Lavazza model comes with a stylish black lid, making it difficult to see how well your milk is frothing, it does make an audible beep to notify you when its done. Basically, you can perform other tasks without constantly watching your drink brew – it’s idiotproof like that. It has a milk frothing capacity of 120 ml and a heating capacity of 180 ml, so it might not froth as much if you keep adding milk, but it will heat up just fine. MilkUp weighs just 0.9 kg, making it a lot more portable, but no less effective, than most frothers in the market. Those quids you spend at cafes add up pretty fast. So if you’re interested in discovering just how many different types of drinks you can add milk froth to without over spending or becoming a tech whiz barista, give this easy-to-use, virtually soundless and portable Lavazza Milkup milk frother a try. The Milk Frother incorporates STRIX Temperature Control to heat your milk perfectly, every time. The flameless heating element heats the milk until it detects a temperature of 65 degrees Celsius, then automatically shuts off. 65 degrees is the optimal temperature for heating and frothing milk. Included in the package are a plastic heating attachment and a wire frothing whisk. Once the heating cycle is finished, activate the whisk attachment to create a luxurious, gooey foam perfect to pour on top of your favorite coffee or hot chocolate. Devices that heat milk tend to get sticky and grimy with dairy residue. That’s why the chamber of the Homegeek Milk Frother is coated with a non-stick material to make it easy to clean. Scrub with a sponge instead of an abrasive pad to extend the life of the Milk Frother. The attractive matte exterior resists fingerprints and looks spectacular on the counter alongside your other appliances. Use it to heat up to 300mL of milk, or froth between 75 and 150mL to create enough froth for one large drink or two medium-sized drinks. Suitable for the high-end home kitchen, the Milk Frother does its job discreetly thanks to a unique double-wall construction. Behind two layers of insulation, the 500W motor heats and froths in almost complete silence. It’s the perfect tool to spice up a coffee party without disturbing your guests. The Milk Frother is simple to operate, with only two buttons, identified by pictograms for heating or frothing and lit by LEDs for an easy interface in low light. Make the perfect topping for your cappuccino or caffe latte in the comfort of your own kitchen. 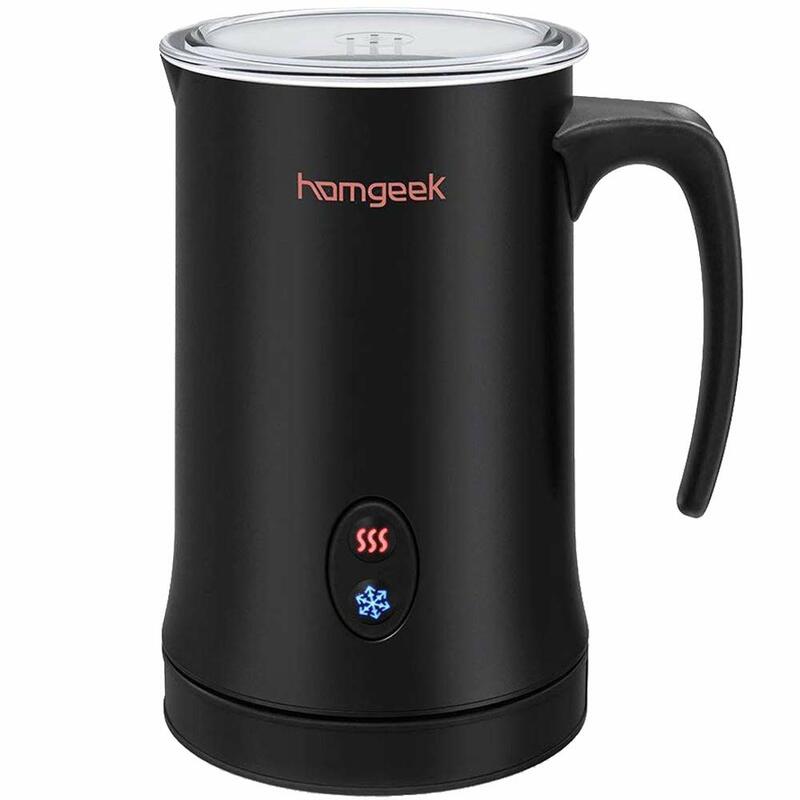 The Homegeek Milk Frother makes it easy to heat and froth milk like an expert barista. 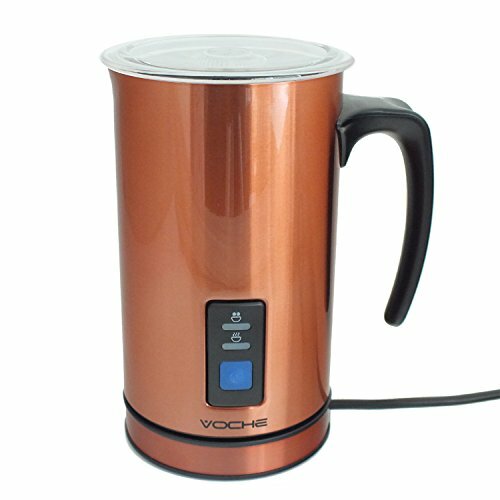 The Voche Cordless milk frother is a revolutionary appliance that facilitates the creation of coffee shop quality latte, cappuccino and more, from the comfort of your own kitchen. This appliance practically does all the work to deliver an aromatic coffee brew. Made with state of the art features, the Voche Cordless milk frother guarantees the same high-quality artisanal barista drinks but with greater convenience and at only a fraction of the cost. The plastic lid and handle insulation affords more convenience by eliminating the need for heat protection accessories such as hand mitts. Makes pouring drinks and cleaning the appliance super easy. It is built with a vacuum that is maintained between plastic walls to preserve the temperature of the liquid. Designed to simplify the cleaning process. The plastic heating mixer attachment can be used to warm milk before it is transferred to the wire whisk attachment for frothing. Creates a wide variety of comforting beverages e.g. 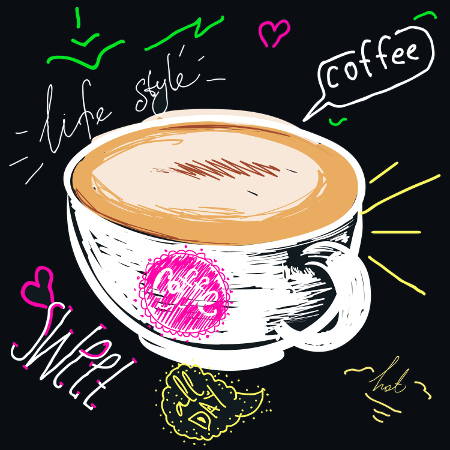 Caffe Latte, Latte Macchiato, hot chocolate, cappuccino, instant milky coffee e.t.c. Highly Durable. The copper exterior acts a strong barrier that protects the device from damage after a fall. Super Convenient – It will save you trips to the coffee shop on days you just want to relax at home. You can also enjoy a drink whenever you want. Money Saving – You’ll only spend money buying the ingredients. This is much cheaper compared to buying ready made coffee. Easy Maintenance – The parts only need to be cleaned after every use to last long. The Voche milk frother delivers a high standard of performance, innovation, and value. It is easy to use and clean, easy to handle, and highly durable. In the long run, this appliance guarantees to save customers money and accord them great convenience. Purchasing this appliance will not only make life at home easier but also fun. 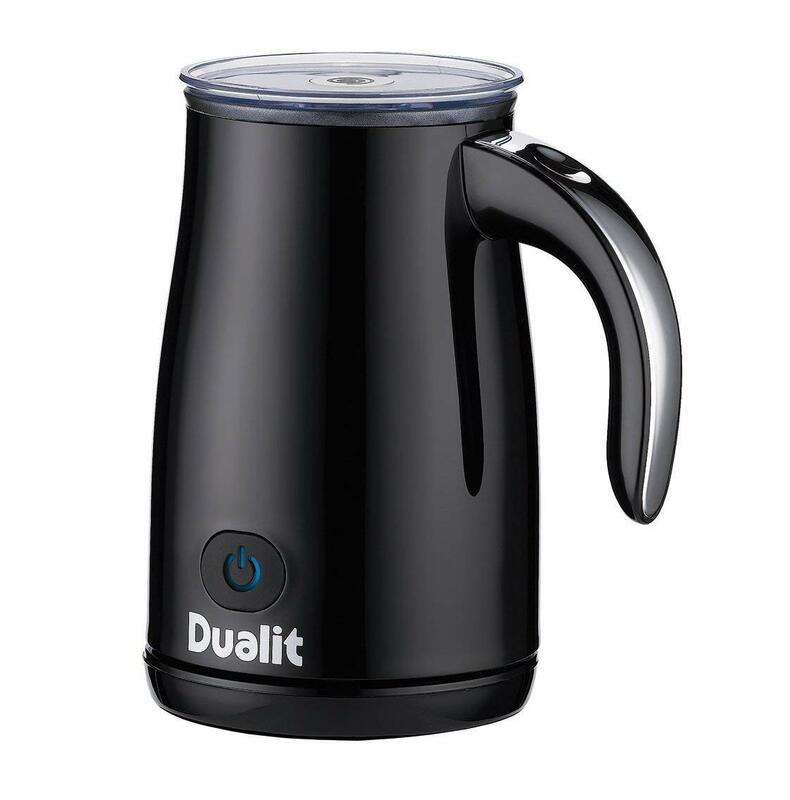 Make the perfect cappuccino or caffe latte at home with the Dualit 84135 Milk Frother. This luxury kitchen appliance is a perfect addition to the kitchen of the discerning lover who appreciates high-end barista creations. The electronic heating element heats milk to its optimal serving temperature of 65 degrees Celsius. If you prefer a temperature cooler than that, you can monitor the temperature with the lid off. The Milk Frother is designed not to spill, even when the lid is open. 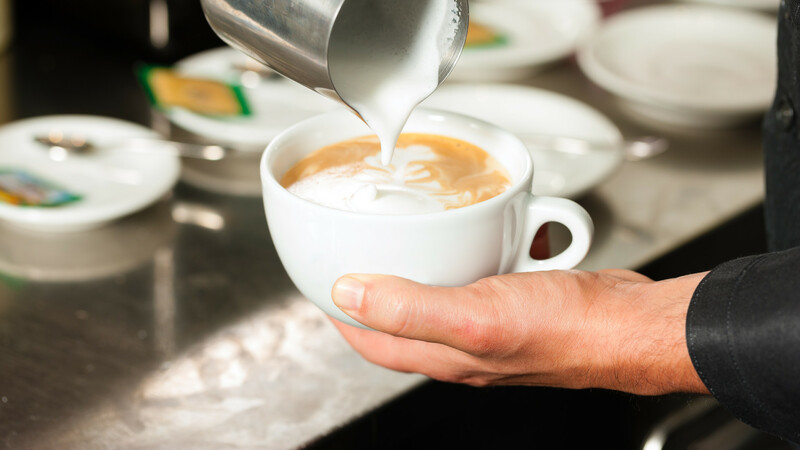 After the heating cycle, the Milk Frother produces a maximum of 500mL of hot milk, enough for two cappuccinos, caffe lattes, or hot chocolates. Heating takes approximately 70 seconds, heating and frothing less than two minutes, which means you can enjoy flavor and texture worthy of a high-end coffee shop without disrupting your routine. For consecutive operation, note that that the built-in reset mechanism requires a few seconds of cool-down time between uses. Other safety features include non-slip rubber feet, temperature control, sealed drive, and automatic shutoff. It features a patented dual-speed meter and a patented overrun feature to prevent milk from burning. The non-stick coating makes the interior resistant to residue build-up and easy to clean with a sponge. The frothing wisk is attached by magnet and removes easily for cleaning as well. The stylish cordless jug can be set on the charging base at any angle. Compact and economical, the Milk Frother looks fantastic on the counter of any upscale kitchen. Sleek and attractive with tapered construction and matte black finish, the Milk Frother offers the convenience of cordless operation. Even when removed from the base it keeps your milk at the perfect serving temperature.